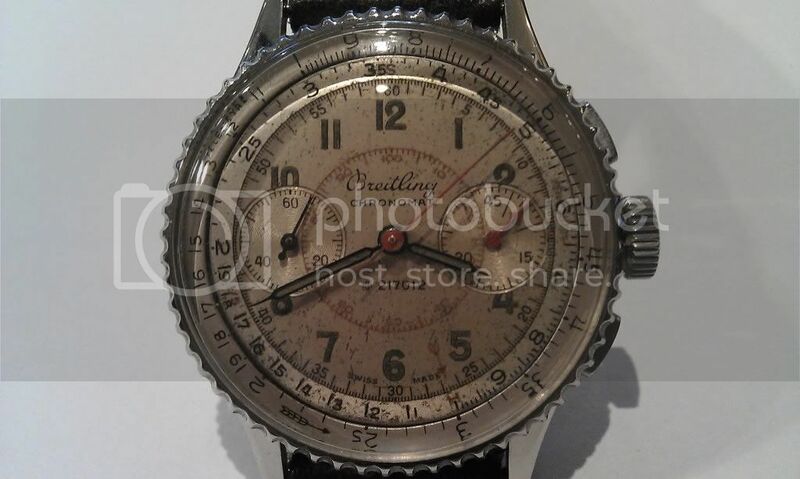 The Breitling Watch Source Forums • View topic - Opinions about this 769? Post subject: Opinions about this 769? Post subject: Re: Opinions about this 769? 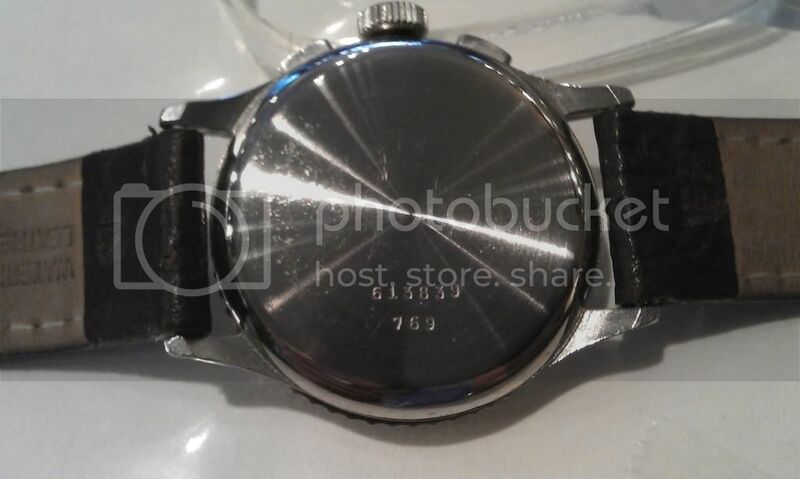 It doesn't look too bad, bridge stamping is unusual and would like to see the caseback, or at least get the serial number. The dial is aged, but doesn't look to be too bad, a sympathetic clean would go a long way. on all accounts, seems (at least) a little early for this bridge stamping ? re dial cleaning, would love to hear from Craig/chronodeco how much this will clean up, he´s away at the moment but might read this and chime in. not convinced with the movement, watch is early from 1945 & all 769 from this period that I have seen had no logo on the bridge and have not seen this particular stamping b4, interested to see what others think ? hour/minute hands seem ok, not sure re chrono second, "arrow" hand on chrono subdial is a replacement, wrong for this model/period. you are looking for the "perfect" early 769, close to "mission impossible", most will have replacement parts by now, so overall this is not bad at all. Hands wouldn't worry me, some are original style, some aren't. If the watch has been serviced regularly through it's life you won't want original hands anyway, they'll be falling off by now. The bridge stamping makes me nervous as well, would expect a no stamp bridge in 45, although there are legitimate exceptions, but have a hard time believing that this stamping is original. Does that mean replacement movement, replacement bridge or something else? Tough to say, but I don't see any other warning signs on the movement. There are better ones out there, but they'll cost more and this one isn't bad by any stretch. Thanks very much, Roff and Fred... That perspective on the issue is definitely key. I exchanged some emails with Craig, but have not discussed specifically what a restoration might cost. 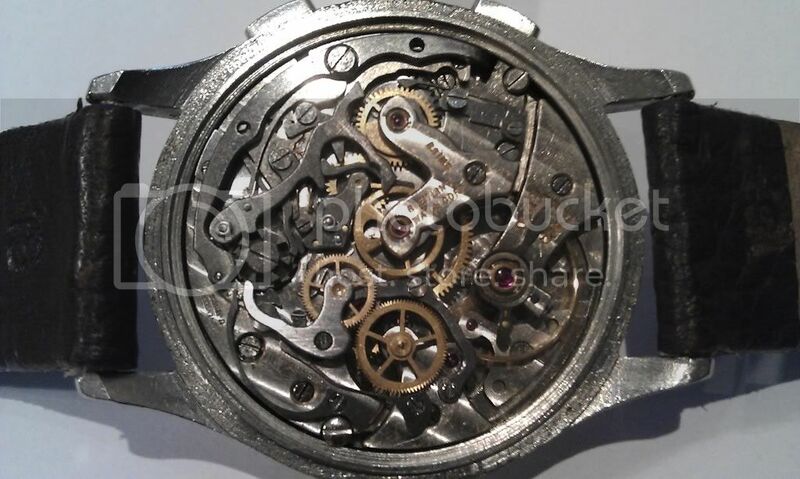 That is obviously a factor in what I would be willing to pay, since the asking price ($3425) seems quite high even if the movement was original. iddo, I assume that this purchase decision is not time critical ? Certainly not time critical... not even close. I'm wiling to wait as long as it takes.